Introducing the golden triangle of India: Delhi, Agra and Jaipur. In this trio of main cities, visit ancient forts and palaces, take rickshaw rides through hectic streets and taste the wonders of street food. Seeing the Taj Mahal at sunrise, it’s beauty has to be seen to be believed. Away from the main sights, wander the deserted city of Fatehpur Sikri and visit the largest sloth bear rescue in the world. 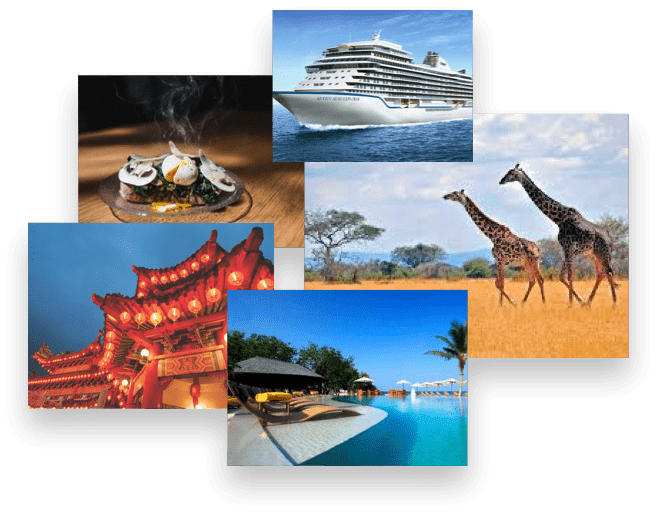 An ideal way to discover India. Depart from the UK on an overnight flight to Delhi. On arrival, you will be met by your guide and transferred to your hotel. 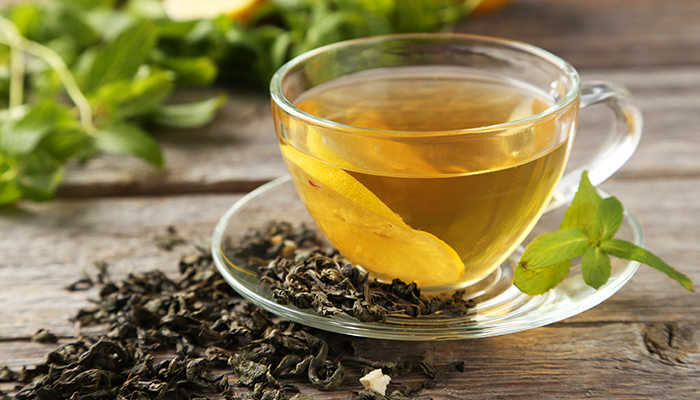 Take some time to relax, or enjoy an optional workshop on the different types of teas. Immerse yourself into the nation’s capital with a tour of Old and New Delhi, visiting landmarks like Qutab Minar, India Gate, Jama Masjid and Red Fort. Take a rickshwaw ride through the hectic streets and watch as everyday life plays out. In Chandni Chowk, navigate the narrow bazaars past the fragrant spices and wonderful produce, from edible silver to precious stones. It would be criminal not to try some of the delicious street food. 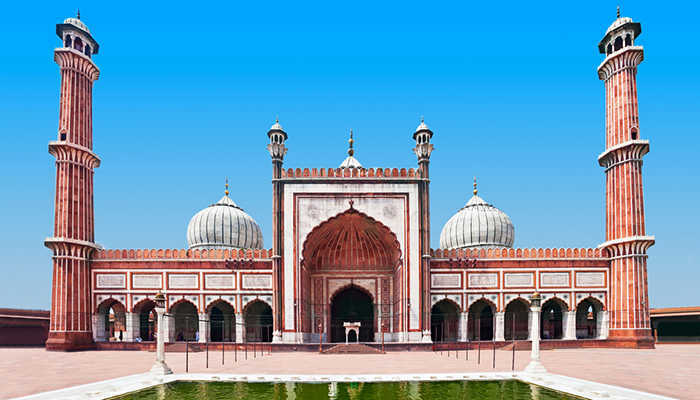 Take a Gatimaan Express train journey to Agra where you will be met and guided to your hotel. Then it’s time to explore this next destination in the golden triangle. Stroll through the chambers of Agra Fort, a World Heritage Site, and visit Itmad-Ud-Duala’s Tomb – considered a draft of the Taj Mahal. At nearby Kachhpura village, tea and pakoras will be served on the rooftop of a local’s house. Avoid the crowds with a sunrise visit to the Taj Mahal, when it is arguably at its most beautiful. After returning to the hotel for breakfast, visit SOS Wildlife – the largest sloth bear rescue facility in the world. Over 250 bears have been rescued from their life of dancing for entertainment. It is a heart-warming experience to see the bears play freely without any worries. Also within the same grounds is Sur Sarovar Bird Sanctuary, a haven for flora and fauna. 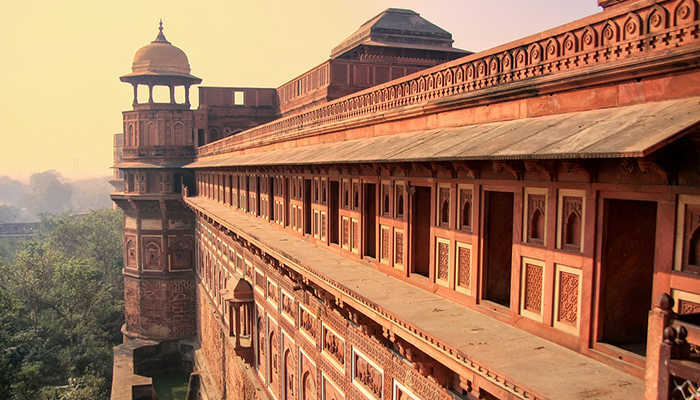 Head west to Jaipur, stopping en-route at Fatehpur Sikri. Built during the Mughal dynasty between 1571 and 1584, this deserted city is a pleasure to explore at your own pace. It’s a wonder why anyone would abandon a place like that. After reaching Jaipur, watch a son-et-lumière (sound and light) show with views of Amber Fort in the background. Jaipur is the colourful capital of Rajasthan state. With only a few exceptions, every building is in terracotta pink – it’s even enforced by law. 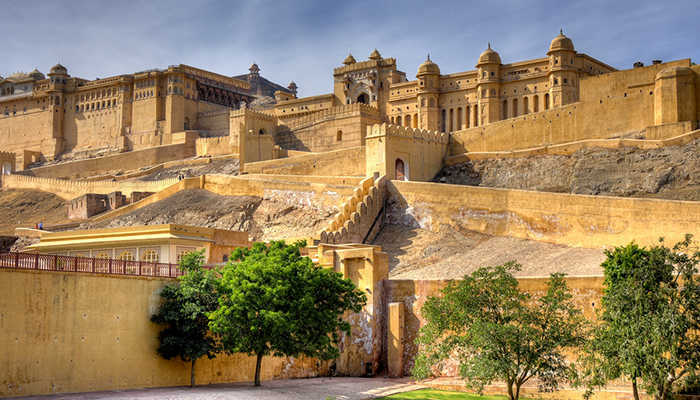 Head out on a full-day tour and see the World Heritage Site of Amber Fort. 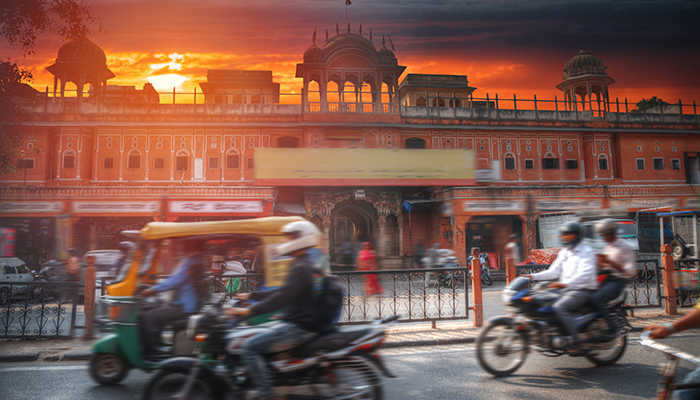 After exploring the ramparts and terraces, head to the City Palace Complex with its museum, the Jantar Mantar observatory, and the wonderful Hawa Mahal. An optional activity takes you on a walk through the Old City. There are still two more forts to explore – Jaigarh and Nahargarh. Jaigarh is in fact connected to Amber Fort by subterranean passages and considered as one complex. Its cannon was once the largest of its kind on wheels. Nahargarh Fort is on the edge of the Aravalli Hills, overlooking breathtaking views of Jaipur. Optional activities include a morning bike ride and an evening cooking session. After breakfast transfer to Jaipur Airport for your onward flight to Delhi. From here, catch your return flight home. 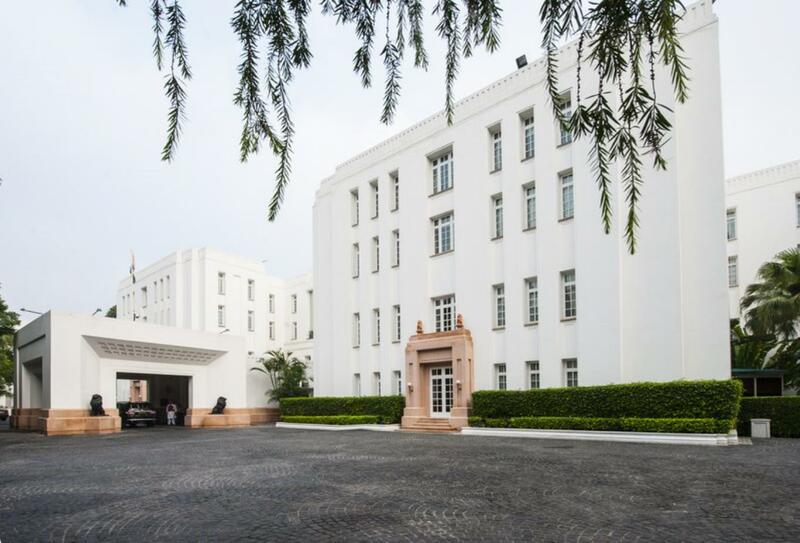 Built in 1931, The Imperial is a historic hotel in New Delhi. Set on Janpath, it is close by to Connaught Place, a major shopping district. The airport is around a 30-minute drive away. 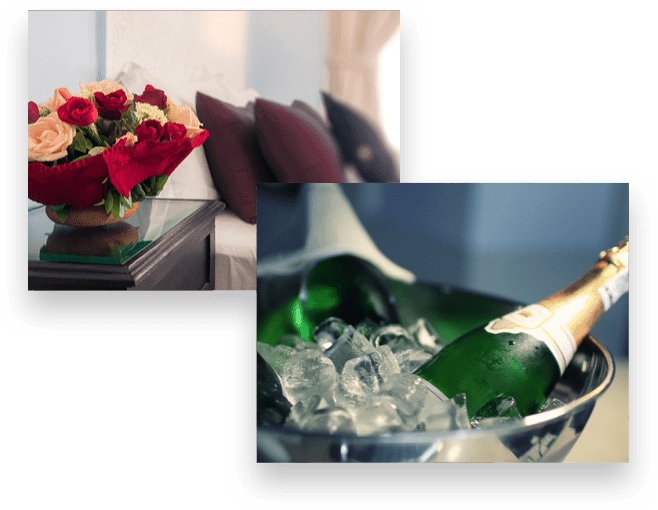 The hotel features 190 rooms and 43 suites, as well as a collection of 9 restaurants and bars. Cuisine ranges from south-east Asian at The Spice Route to pan Indian at Daniell’s Tavern. Facilities include a spa and salon. ITC Mughal is spread over 35 acres of lush gardens, close by to the Taj Mahal. It offers a great representation of Mughal architecture and houses 233 rooms and suites, each with their own style and charm. Five restaurants and lounges serve cuisine ranging from international dishes to local specialities. Facilities include two swimming pools and a spa. Samode Haveli was built 175 years ago as the residence of the rulers of Samode. The traditional Indian mansion is set in a verdant garden with apartments placed around courtyards. Each opens out to balconies overlooking the pools, fountain courts and gardens. 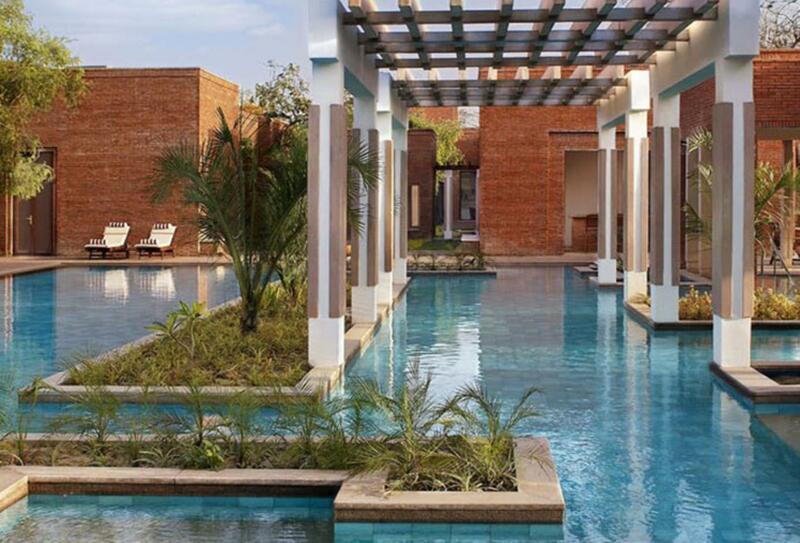 Alongside restaurants, there’s a swimming pool, spa and fitness centre. Get to the bottom of what makes green, black, orange pekoe and many other teas so different. The workshop covers everything from the right way to serve tea to the correct method of storage. The last architectural extravagance of Shah Jahan, this mosque is the largest in India and has a courtyard capable of seating 25000 people. 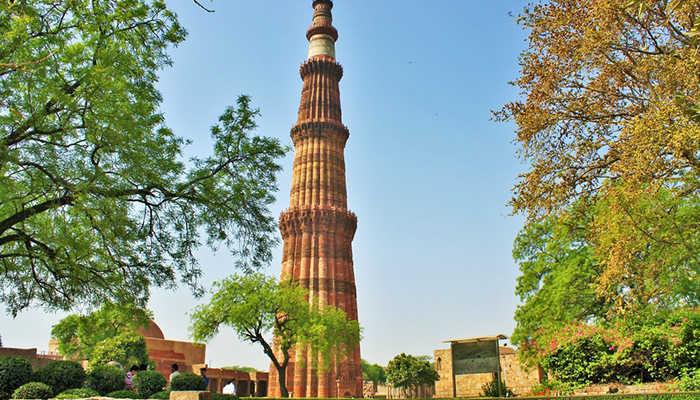 This 73-metre-high tower was built in 1193 following the defeat of Delhi’s last Hindu kingdom. Built in the 11th-century, this UNESCO World Heritage Site was where the Indian rebellion of 1857 took place. 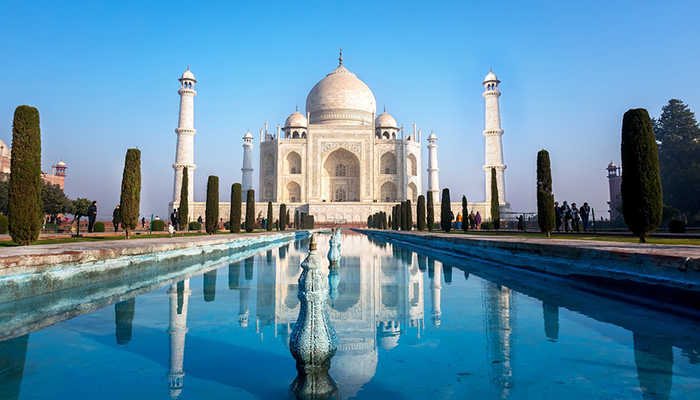 Commissioned in 1632 by Mughal emperor Shah Jahan to house the tomb of his wife Mumtaz Mahal, the Taj Mahal is one of the best-known buildings in the world. 20,000 men laboured for over 17 years for it to be built. 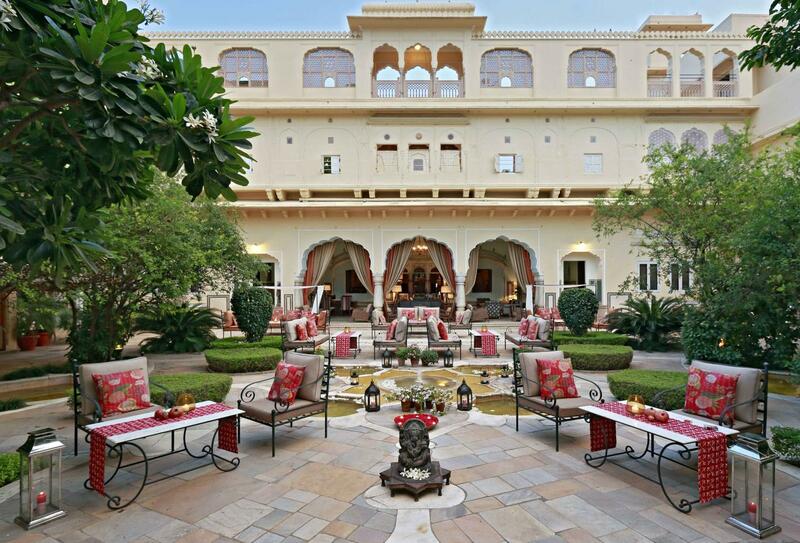 Classic Rajasthani palace with miniatures painted on the walls depicting hunting and war scenes. Within the palace is the Sheesh Mahal – a room where all four walls and the ceiling are completely embedded with mirror pieces. 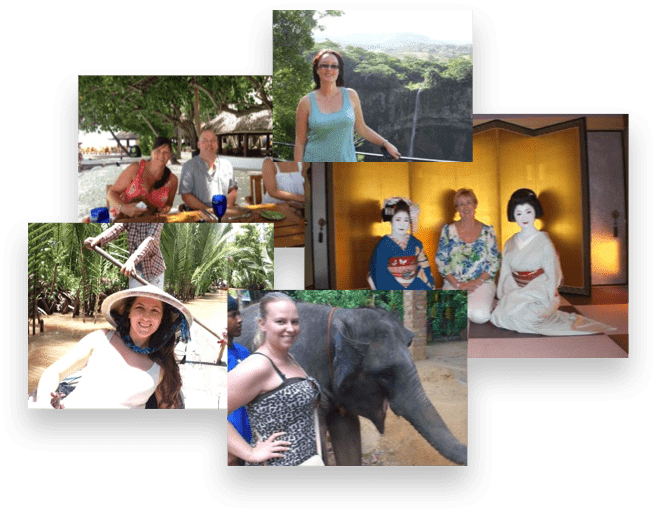 Led by a private guide, take a two-hour walk through the Old City learning more about the craft and culture, while interacting with the community.